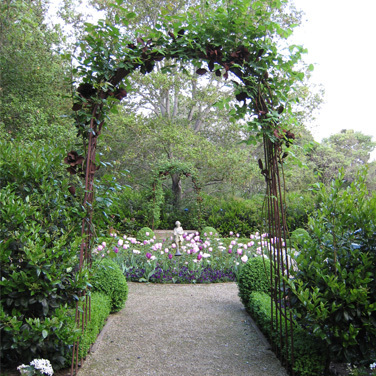 The Rose Arbor and the Rose Tree were sculpted from steel to match the scale and feel of the April Showers Climbing and Standard Rose. 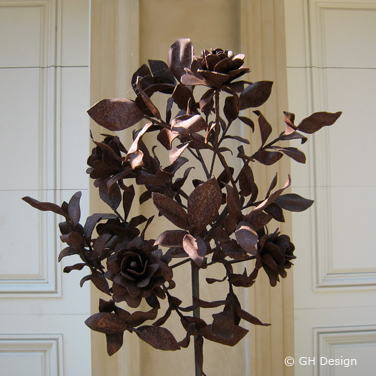 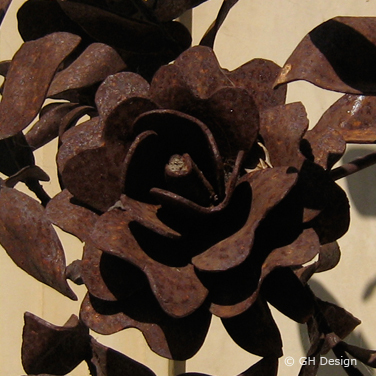 The Rose Tree and Rose Arbor can be recreated in any size or metal. 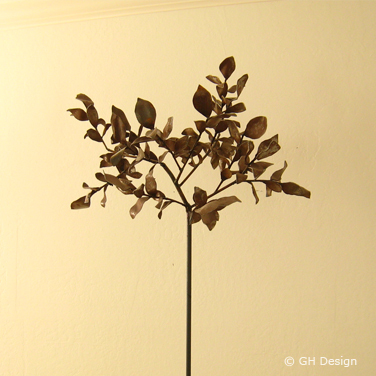 Both pieces were originally designed for an estate in Atherton, California by principle designer Nancy Favier. 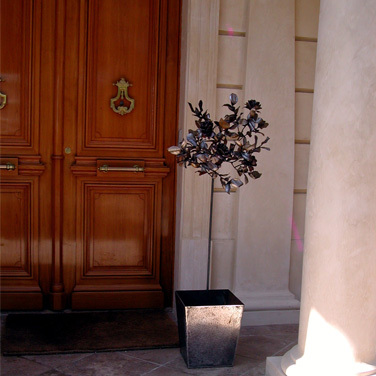 Planter box dimension as shown: 24" x 24" x 24"